Thanks to technology, certain problems that come with life on the road are receding into the past — no more unexpected traffic jams, road closures and low-clearance bridges. 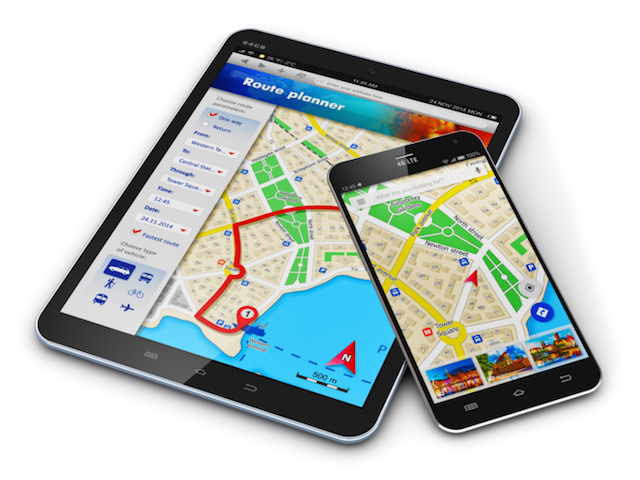 GPS systems and social-media-style platforms have come together to form useful apps to help drivers and logistics companies plan the most cost-effective routes and perhaps even find something to eat along the way. We’ve rounded up a few problem-solving apps that are worth a look. PC Miler Traffic: A popular app in the industry, PC Miler Traffic gives real-time data on traffic congestion. What separates this from Google Maps is that it accounts for truck weighing stations and overpass clearances. Simply enter your destination and it will calculate the cheapest route. Waze: This is not designed for the industry, yet professional drivers have found it useful. Say you are slowing down; the app will ask if a traffic jam is the cause. Just click in your answer and that will be shared with other users in the vicinity. You can also use it to get notifications about speed traps, accidents, road debris, construction zones and gas prices. Being a non-industry app has its advantages, as you have data coming from commuters and others on the road. However, transport drivers have pointed out on feedback forums that Waze does not factor for truck routes in its routing. Jupigo: Think of this as a matchmaking app that helps drivers get out of line at the Port of Oakland and back on the road. This free app facilitates “street turns,” where drivers can exchange empty cargo and equipment outside the marine port, sparing them the need to wait in line and enter the port to find and conduct these exchanges. Two more apps coming online, DrayQ and DrayLink, will give real-time data on wait times in line and transaction data. Food Cowboy: If part of your produce shipment is turned down at the distributor because the apples are not red enough, the carrots are too crooked or the tomatoes are oddly shaped, worry not. This app is one of several that can get you to a food bank or nonprofit where you can unload it and put it good use. Fuel Dawg: Specifically created for truck drivers, this app locates the cheapest diesel prices near you. It also shows nearby truckstops, displaying their services such as: parking, showers, a store, a restaurant, emergency repair, and whether or not it has a motel.